Maine gets seven oysters, 18 pages and a lot of enthusiasm. 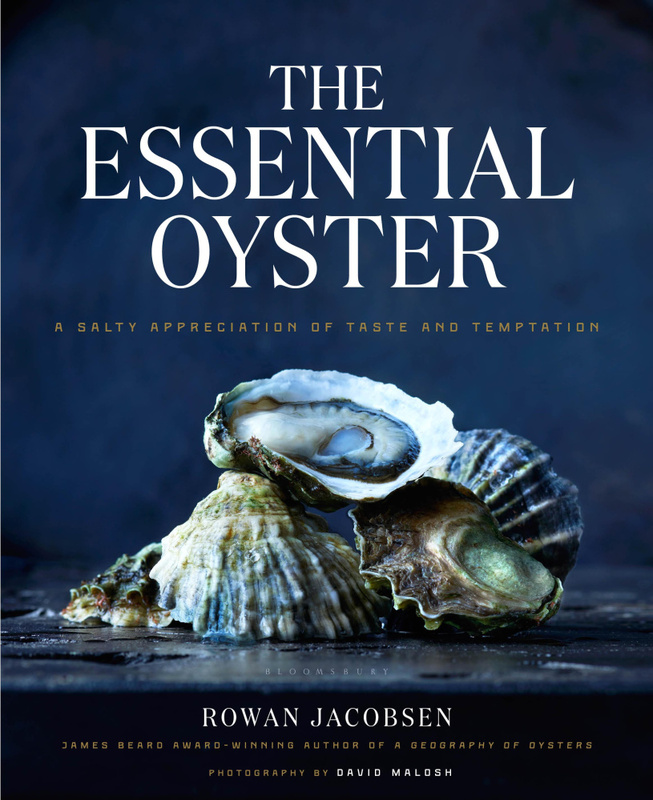 The book completes his oyster trilogy, he said, begun in 2010 with “A Geography of Oysters” and extended with “The Living Shore.” Jacobsen will be in Portland tomorrow slurping oysters and signing books. “THE ESSENTIAL OYSTER” BOOK SIGNING: Signing and slurping, Eventide Oyster Co., 86 Middle St., Portland. 2-3:30 p.m. Thursday. THE ESSENTIAL OYSTER DINNER: Five-course tasting menu with oysters at Hugo’s, 88 Middle St., Portland. $140, including tax, tip and a copy of “The Essential Oyster.” 6 p.m. Thursday. Tickets at event.brite.com. “Maine’s oysters are just the best. Absolutely the best. Anywhere in the world. Period,” he said in a brief telephone interview from his home in Vermont. He devotes 18 pages to Maine’s rapidly growing oyster fishery – from four farms in the 1980s to 65 as of 2015 – with individual sketches of the Bar Harbor Select, Belon, Glidden Point, Nonesuch, North Haven, Pemaquid and Winter Point, each accompanied by an attractive, useful photo by David Malosh. Forgive us a brief digression: The hardest thing about food writing is describing what food tastes like without continually resorting to the same tired adjectives – crispy, crunchy, mouthwatering… Jacobsen’s skill at differentiating among the roughly 100 oysters he covers in “The Essential Oyster” impressed us no end. Writing tips, please, we asked him. After pausing to tape a large printout of that up on our screen, we asked Jacobsen about a gloomier topic. The Gulf of Maine is said to be the fastest-warming water in the world, a consequence of climate change. What does that mean for the state’s developing oyster industry? A GOOD OYSTER smells like the sea breeze skipping over the shore. A bad oyster smells like a murder victim. I prefer the former. But I like how even the latter helps exemplify the essence of the interface: An oyster conveys its life experience directly to your senses. Was it raised in the briny Atlantic or a brackish bayou? Warm water or cold? Rich or thin? Did it develop down in the pluff mud of the Carolina Lowcountry, or in a floating bag tossed by wind and waves in Willapa Bay? Did its ancestors hail from Japan or the James River? The whole story is there in front of you.You can read some of that story with your eyes, but to really understand, of course, you have to eat it. And when you do, even if you aren’t yet familiar with the language of oysters, you can usually get the essence right away. Every oyster is a tide pool in miniature, a poem built of salt water and phytoplankton that nods to whatever motes of meaning shaped it. It is the sea made solid. The bay gone sentient. Not that solid. And not that sentient. 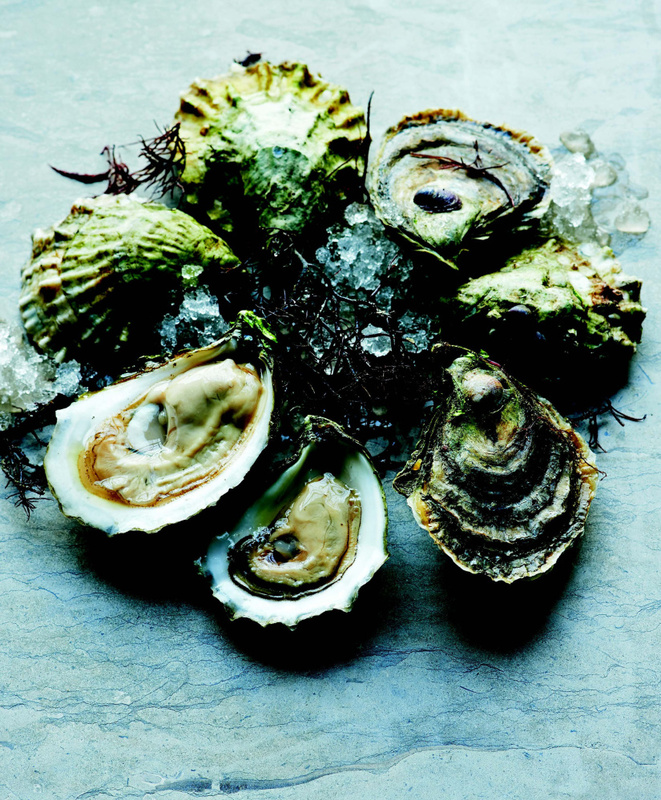 An oyster is basically seawater with a purpose. It threatens to collapse back into sea-ness at any moment, the way an emulsion looks for an excuse to give up. This in-betweenness, neither solid nor liquid, can be the oyster’s unique allure or its primary offense, depending on the audience. Assuming that you are in the first camp – and if not, gentle reader, you have made a terrible mistake – then you already know that an oyster’s charm lies in straddling realms, in being animal, vegetable, and mineral all at once.